Hafsa joined Achievers Ghana in our early years. She vividly remembers the day her father came home from his prayers and encouraged her to. He had found a group of young girls – young Achievers, he would later learn – studying on top of the roof of the local mosque. He was so impressed he wanted his daughter to be one of those girls. I used to stammer. I was so conscious of it. 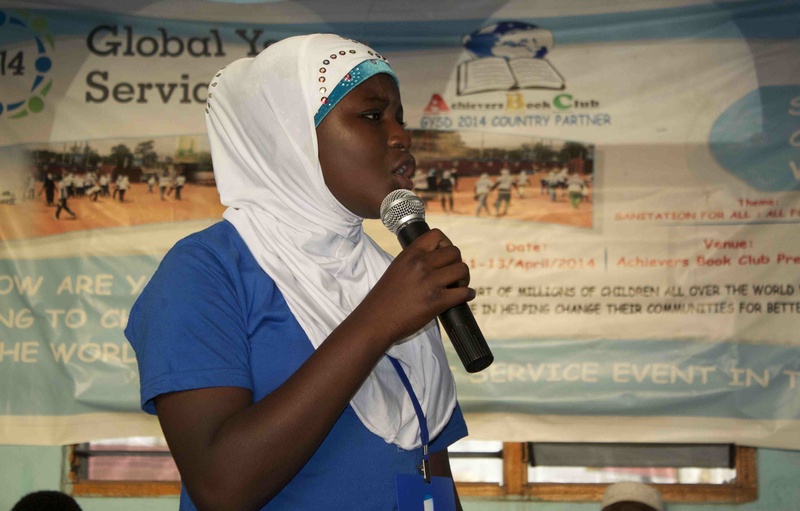 I never thought I would be able to speak in front of an audience in a million years……… says 12-year old Hafsa. 3 years down the road Hafsa has become one of the best public speakers and poets at Achievers. Her favorite poem, Change the World and the World will Change you, has changed many. She has contested in poetry recitals including at the 2014 Ghana Islamic Tournament and has even represented the Achievers on National TV. Hafsa is one of the five Achievers on full scholarship at the RisingSun Montessori School. She wants to become a journalist. Through this she also wants to be able to do advocacy work on issues such as food preservation and its implications in her community. Here in Nima, she says, people lack very basic knowledge on how to properly preserve their food. It is quite common for people to get sick as a result; I have a friend who died. As a journalist, I plan to help in this area………And she will! Hafsa is only 1 of the over 200 girls from Nima being supported and mentored by Achievers Ghana. Do you want to help keep more girls like Hafsa in school this upcoming school year and even beyond? Join the 2015 Ramadan Fundraiser by reaching out to mail@achieversghana.org or +233 (0)243458138. The girls deserve it! This entry was posted in News, Uncategorized and tagged 2015 Ramadan Fundraiser, Hafsa Issah, RisingSun Montessori. Bookmark the permalink.